After twenty-six years starring as nurse Lillian Raines on the hit soap opera "Guiding Light," Tina Sloan knows a thing or two about surviving the pitfalls of growing older in front of the world. 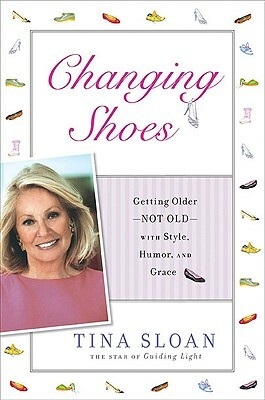 From depleted storylines, to transitioning from sizzling screen diva to a mature grandmother "Changing Shoes" shows that even TV grandmothers can have style and flair. Drawing from the lessons she has learned in her own life, Tina candidly shares her endearing, sensitive, and often funny, story of crossing into her next phase of her life. And, in doing so, she offers important tips on how to embrace womanhood with ease. For twenty-six years, Tina Sloan, played the role of nurse Lillian Raines on "Guiding Light," which aired its final episode in 2009 after a seventy-two-year run on radio and television. Tina has appeared on many other television shows, including "Somerset, Law & Order: SVU," and in a variety of feature films, including "The Brave One" and "Changing Lanes." She is currently shooting two feature films and touring nationally in her acclaimed one-woman show, "Changing Shoes." She lives in New York.